Who wouldn't crave for this lovely dish. Crispy, tasty and definitely mouth watering. During my childhood days, we can only have this dish during fiestas and big celebrations, but now, luckily, I can have it whenever I want! Ooopppsss cholesterol alert. Sometimes I use my turbo oven to crisp and turn to golden brown my lechon kawali but deep frying indeed gives a different intensity in the flavor. However, which ever you prefer will surely satisfy your craving. Put all the ingredients (except the cooking oil, 1 tbsp salt and 1 tbsp ground black pepper) on a big pot and bring to a boil. Let it simmer for 30 minutes or until meat is tender. Remove the meat from the pot and let it cool down. Cut the pork into roughly 2x2 inches thick. Sprinkle 1 tbsp of salt and 1 tbsp ground black pepper on the meat. Heat cooking oil on a pot. The oil should be hot enough before putting the meat. 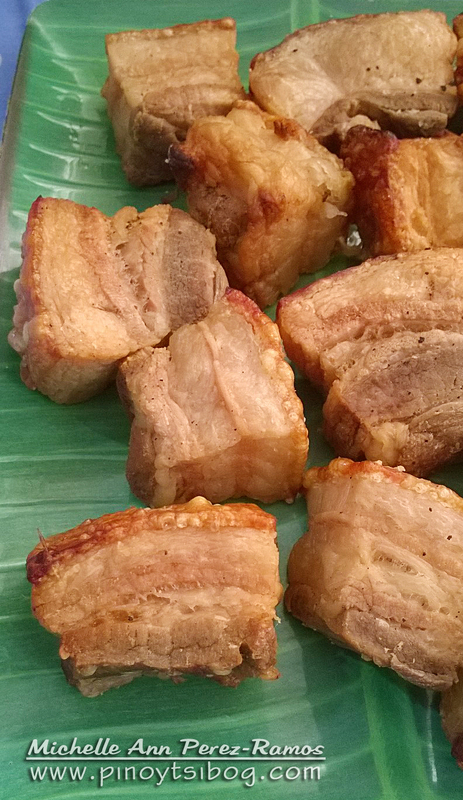 Deep fry the pork until it is golden brown and the pork skin is crispy. Remove the meat from the pot and put it on a paper towel to drain excess oil. A woman says she would pay for someone to hack into her boyfriend's Facebook and Gmail account to see if he is cheating on her. flexxispy@gmail.com got that done Quick. Hello everyone, my name is Kate Johnson. I was able to hack my husband's phone remotely and gained access to all his texts and calls with the help of ghosthacker2351@gmail.com, he is reliable and if you require his services tell him I referred you. Looking for a hacker who could scrub the internet for any embarrassing photos and stories, retrieve a lost password or change school grades, Hack into unfaithful partners device. Find spyfix6@gmail.com . Reliable Forensic Services.